What will the last piece of art ever to be made by a human look like before we disappear from the face of the earth? 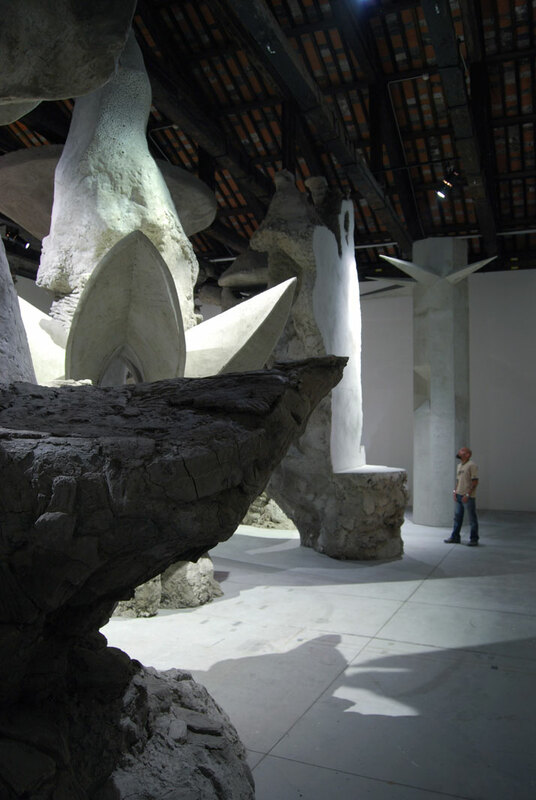 With this question in mind, 31-year-old Argentinean artist Adrián Villar Rojas created his imposing installation at the (current) 54th Venice Biennale (June 4, 2011 – November 27, 2011). 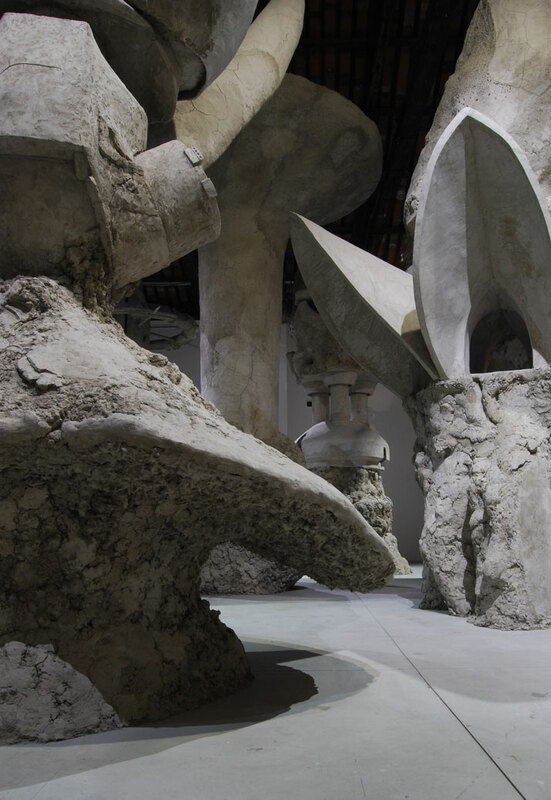 Located in a privileged space at the Artigliere in the very heart of the Arsenale, his project consists of a group of oversized site-specific sculptures made of clay over a framework of cement, burlap and wood; the ‘larger than life’ installation is enigmatically entitled "The Murderer of Your Heritage." 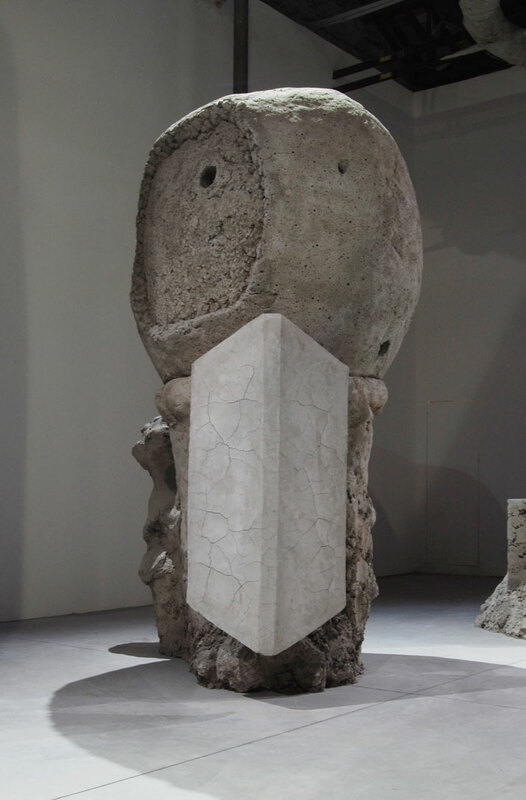 With more than two-months of working in-situ with a team of builders, engineers and sculptors, Adrián Villar Rojas presented “The Murderer of Your Heritage,” the fast-rising talented artist is the youngest artist to this day to be given the honour of national representation. Argentina carries a long history in the Venice Biennale, as it was the first Latin American nation to participate in 1901. 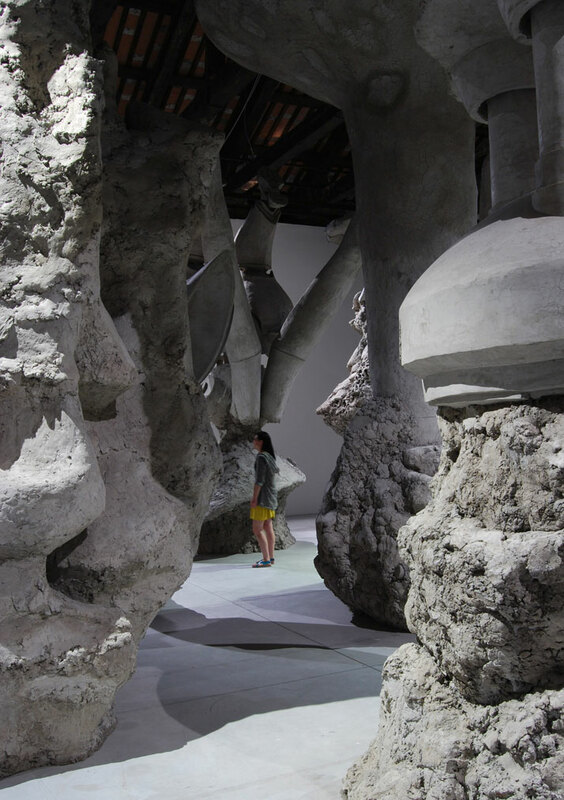 This year, Argentina has been granted a permanent pavilion in the Arsenale's Sale d'Armi, which it undertook to restore. Additionally, it has also mounted a group exhibition off-site, at the Ca' Giustinian, titled "Memory and Freedom in 20th-Century Argentine Art." 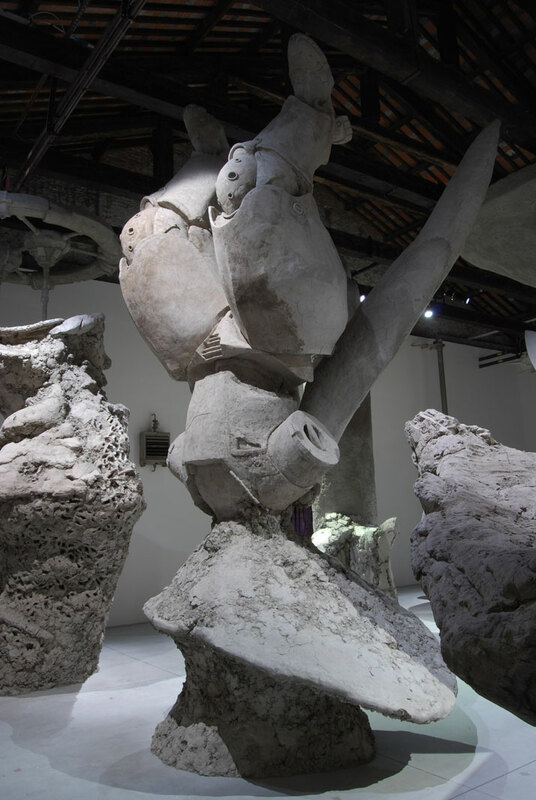 The larger than life clay and cement sculptures crowd the 250-square meter pavilion, running perpendicularly from floor to ceiling; the handmade sculptures challenge the conceptualist traditions of Argentinean art. Silky-soft textures alternate with passages that are vastly textured, as if a colossal monster appeared right before the humans disappeared and ferociously moulded the clay surface. The larger than life sculptures take the form of hybrid beings – beings on the verge of fiction, a cross-breed of half-machine, half-plant like fictional creatures. These are creatures from a far-flung planet which begs one to question whether this may be the planet where human beings now reside? The artist does of course base theories of multi-universes, which state that many different universes could coexist at Artiglierie. Could they be seen as simultaneous apparitions of these alternative worlds in ours, calling for our attention to the other paths that humankind could have taken during its evolutionary history? Villar Roja’s search for the inexplicable, the parallel universe, fiction vs. reality and evolutionary deviations thereby pervades the work. 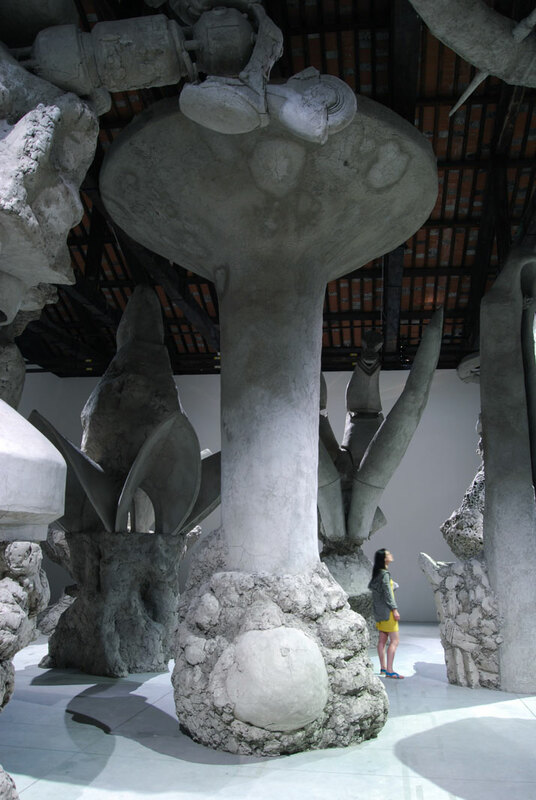 The colossal sculptures change the relationship between the viewer and the space where the viewer feels inferior to these large scale sculptures. A cave-like feeling is given to the viewer as the height of the entrance was condensed and a special drywall construction encloses the sculptures. A special light study works dramatically and sceneographically on the sculptures giving off an intense feeling; a feeling of agony and mystery as if a magical act will to be performed. The sculptures are positioned in such a way that along with the existing setting and lighting installation, a strong dialogue is created among them. 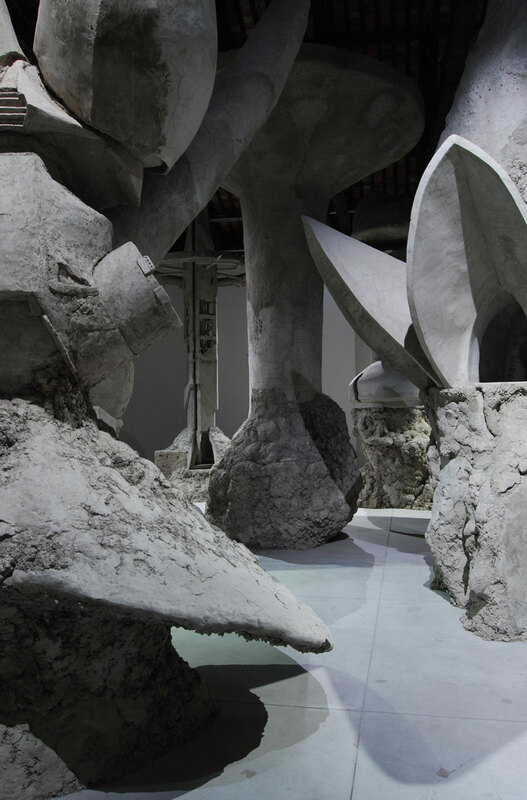 An exceptional work, a must see if you are somewhere nearby, as the sculptural installations will be destroyed at the end of the Biennale; what will remain is only photographs, and books, and our Yatzer article to keep the story of this work alive! To push this concept even further, the artist will develop a similar massive piece at the Jardin de Tuileries, Paris, during 2011, with the cooperation of SAM ART Projects and the Musée du Louvre. Adrián Villar Rojas (Rosario, 1980) studied Fine Arts at the University of Rosario, Argentina. His work has been exhibited at international venues such as Serpentine Gallery (London), CCA Wattis Institute for Contemporary Arts (San Francisco), Galería Kurimanzutto (Mexico, DF), Akademie der Künste (Berlin), Galería Ruth Benzacar (Buenos Aires), Museo de Arte Moderno de San Pablo (Brazil), X Bienal de Cuenca (Ecuador), II Bienal del Fin del Mundo (Ushuaia) and II Trienal Poligráfica de San Juan (Puerto Rico). 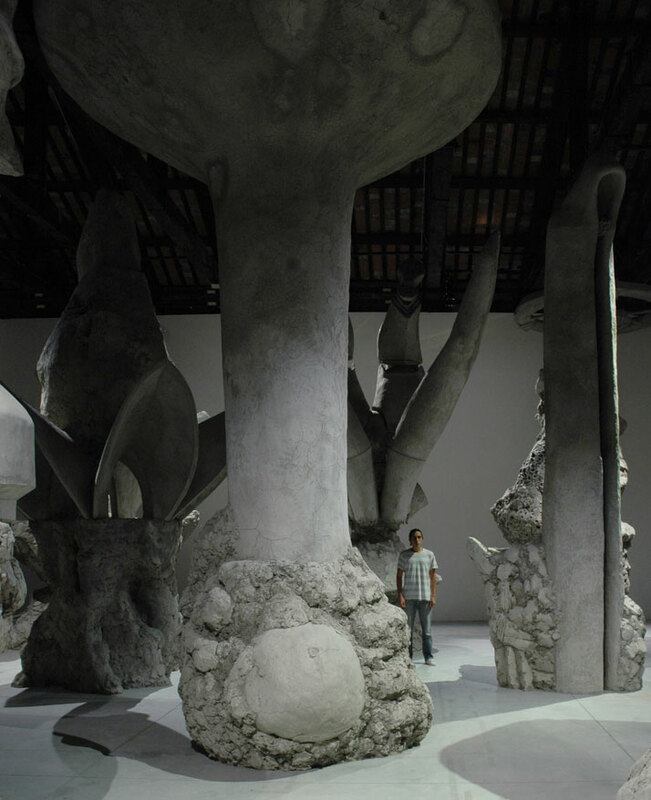 During 2011, he was also been appointed for the12th Istanbul Biennial.